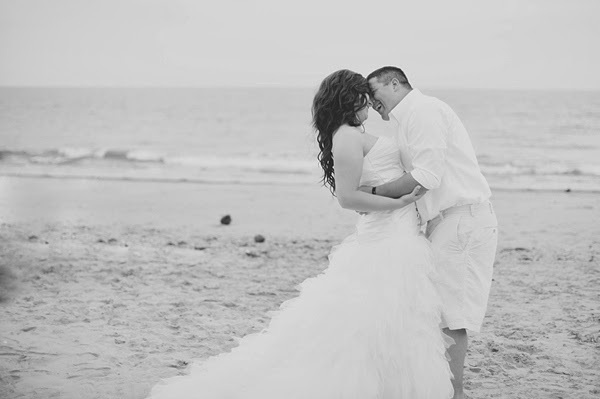 While we're in the midst of winter, we know that there are local brides and grooms already prepping their 2014 summer weddings. So when Caitlin and Jennifer of Freshly Wed sent over this lovely navy and coral beach DIY wedding, we were thrilled to share! 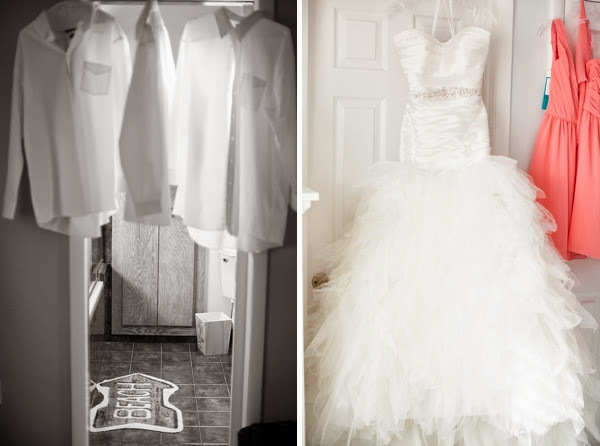 DIY always adds a certain personal touch to weddings with a lot of beautiful meaning and memories. And with a DIY wedding, it requires a bit more planning and go-getter attitude to get things accomplished within a timeframe and a budget. 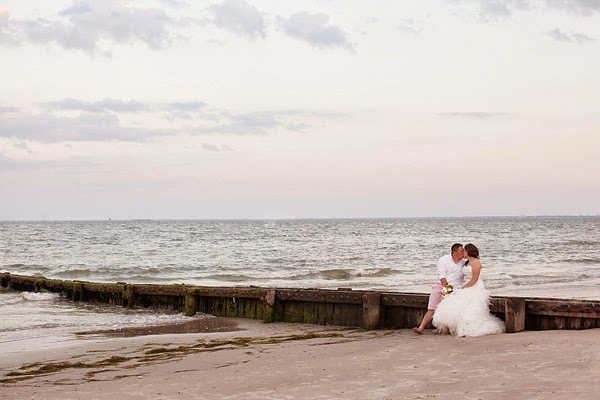 We were thrilled when Ariel and RJ shared some practical advice for future DIY brides and grooms also wanting to create a memorable beach wedding experience. 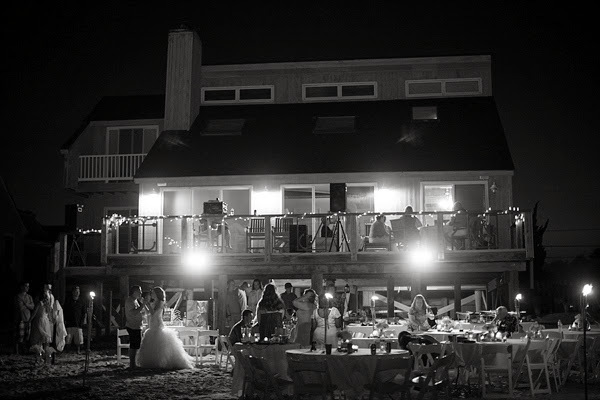 They mentioned that parking was the only problem (as is a common dilemma with local beach weddings), but thankfully, they had the foresight to contact the local Police Department a few months prior to inquire about the parking situation and then organize a shuttling service from Buckroe Beach's public parking for their guests. "Fires are also not allowed on the beach and Chinese lanterns are not allowed due to the close proximity to the military installations in the area. Make sure you check with government agencies to make sure that they don't have special permitting requirements for your venue," they advised. And like all great weddings, there is the love story that started it all. "The best part was that we were lucky enough to be marrying our best friends after being high school sweethearts, college, and overseas military duty. We were finally 'together'."